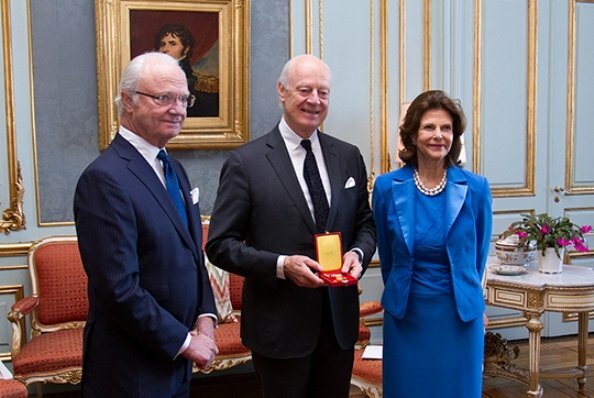 On December 4, 2017, King Carl Gustaf presented the Prince Carl Medal to Staffan de Mistura, United Nations Special Envoy for Syria, in recognition of his outstanding international humanitarian efforts. 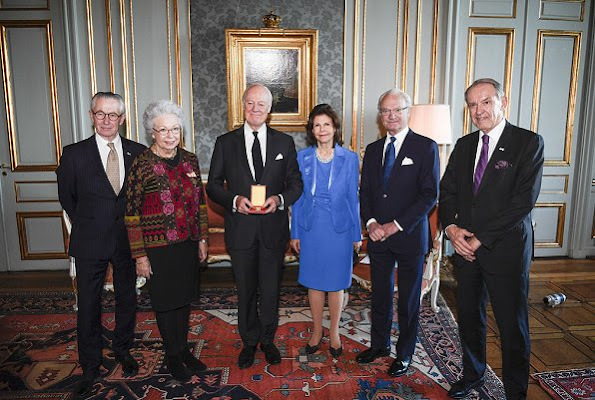 Queen Silvia, Princess Christina and Tord Magnuson also attended in the event. The Prince Carl Medal was instituted by Gustaf V of Sweden in 1945 on the retirement of Prince Carl as chairman of the Red Cross of Sweden. 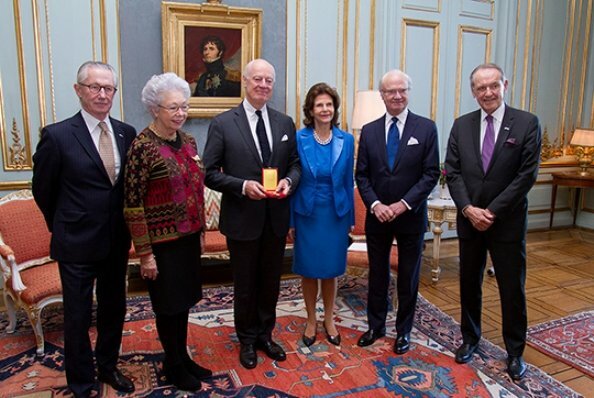 The medal is awarded for national or international humanitarian activity. It is so nice to see Princess Christina, Mrs Magnuson in such a great shape after all she's been through. Looking forward to see her at Nobel. Her sweet cardigan comes from swedish designer Gudrun Sjödén.